Ah, so we're back in the UK. I'll skip my schpiel on London - my love/hate relationship with the town is well-documented in this blog, and I'm not going to say too much as my travel companion this time is a London newbie. Perhaps this time I can see it with a fresh set of eyes as well. The trip over was smooth, as is expected to be on Eurostar. And it made me thankful that I got this handy dandy little digital SLR. Why? 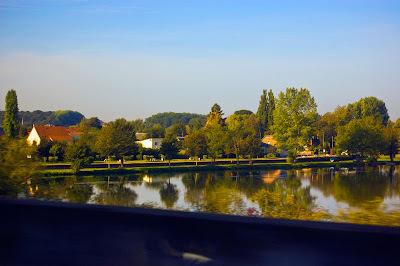 Because this picture was captured whilst shooting through the northern French countryside at 186 miles/hour.